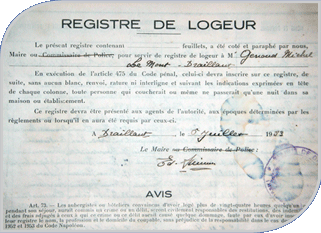 Nice and big farm, it was on the 1st of June in 1946 than Michel and Marie GENOUD make register the "Renard Bleu" as Boarding house - Coffee - Restaurant to the commercial register. 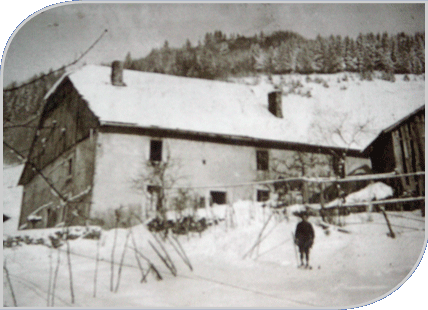 About ten dairy cows, 13 bedrooms among which theirs, here is what from what is going to inherit their son Michel helped by his wife Alice. Their cheese specialities ("fondue, raclette") and of the area ("omelettes, beignets de pomme de terre"), the privileged place and the atmosphere make their reputation. And they saw people living all around their place but also people living in all France or in others countries (Switzerland, Denmark, Great Britain...). 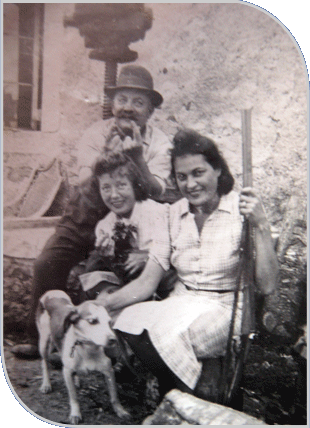 The activity of the farm is stopped in 1965 and after the death of Michel GENOUD, his wife Alice continues to steer the "Renard Bleu" as hotel Restaurant, supported by " the uncle Alphonse " and " aunts Raymonde and Yvette ", then by her children Jean François and Annie. 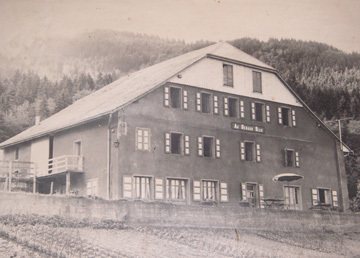 Today, the building "the Renard Bleu" always exists. Pierre - Caroline - Flavian - Victor and Arthur failed and bucked up this magic place to live there at first. But also to make it share whether it is in riding asses, in taking snacks or in renting flats...But especially to make it appreciate !
. : Home .:. The Donkeys .:. Accomodation .:. Historic .:. "Âneries" Image Gallery .:. Contact .:. Location :.